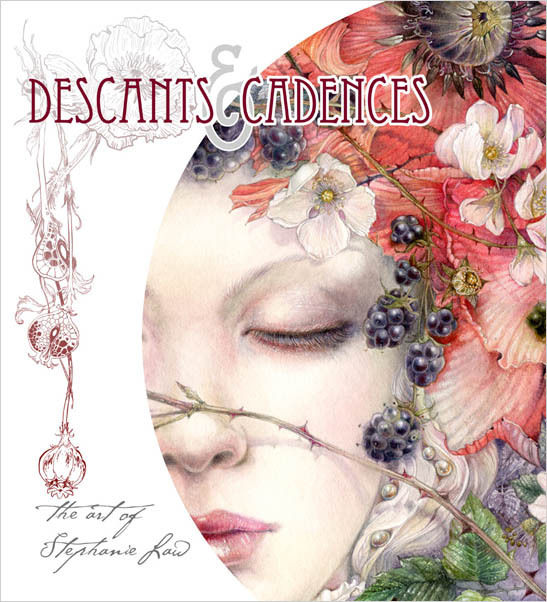 From the artist that brought you the Shadowscapes Tarot deck, and the Dreamscapes series of watercolor technique books! Stephanie Law would love to share with you her latest project. 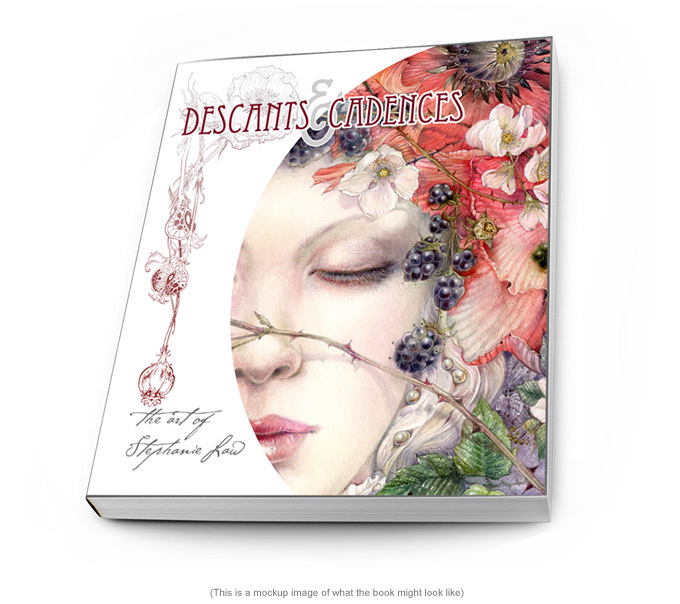 Descants & Cadences is a new art book, featuring the collected work from recent years. Initial pre-orders for the book were taken via Kickstarter from April 14th to May 12th, 2016. If you missed initial pre-orders, a second round of pre-orders will be opening in mid-June. Art has always been about the exploration of other worlds to me. It is a medium to view the world with a different perspective and to find elements of beauty in what seems ordinary. I want to transport myself, and my audience into a mirror existence. That's what Descants & Cadences is. I want this book to be a window to invite you in to participate with my visions. For the artwork in this collection I've been feeling along the boundary between dream and reality. I've delved into the language of allegory that we're all exposed to from the very first nursery rhyme that we hear as a child, and rediscover when we read to our own children. I've sought after tiny worlds of wonder from an insect's viewpoint. I love to get lost in the incredible beauty of growth and decay that you find in nature. Most of these pieces were created over the past three years and have never been published in any other volume. It includes the Magpie pieces from my sold out series that I showed at Krab Jab Studio, as well as paintings from my other popular series. The Stag Sonata Cycle, Insecta, Strange Dreams and more. The book is a stream of consciousness journey, following mythical creatures like white stags and faerie queens, to much stranger guides and masked creatures. There are two editions: TRADE and DELUXE Edition. Both versions are 10x11 inches to feature much of the art at the original painted sizes. The TRADE Edition is a softcover volume and will have all the same production values as the Deluxe Edition. It will be printed on heavy weight paper, full color, with beautiful spreads of artwork, and some select essays and commentary on my inspiration and process of creating. The DELUXE Edition is a limited edition run of 400. 350 were released during the Kickstarter and have been sold out. 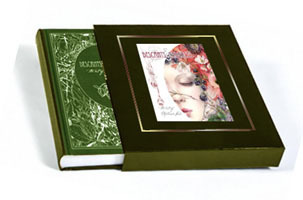 The hardcover volume has the same content as the Trade Edition, with an additional 6 sheets of vellum. The translucent vellum pages feature exclusive and specially designed overlay artwork interleaved throughout the book for a very unique effect. The cover is cloth bound with silver foil stamped image and title, the edges of the pages silver gilded, and an attached ribbon bookmark included. A hard clamshell cover features the full color artwork "She Sleeps" that graces the cover of the Trade Edition. Descants & Cadences is ©2016 Stephanie Law. Visit Shadowscapes for more information or to view more artwork.